Got a quick column to write about evil cyclists? Need some pointers for a radio script poking fun at those misguided people who ride bicycles when they ought to drive cars? We’ve got your back here at Hate Media Inc.* In our definitive, 45-point Style Guide we show you the correct and proper way to blame cyclists for everything, including air pollution, traffic congestion and wasteful spending on boondoggle cycleways. As an outgroup – “them,” not “us” – cyclists are fair game and they are easily triggered (which is good for your web traffic). But be aware that cyclists have no sense of humour, see #13, especially when you joke about killing them. In your columns and scripts it is critical to mention that ALL cyclists are guilty of the transgressions listed below. When writing about motorists it is acceptable to write some drivers. 1. ALL cyclists run red lights. Some motorists may also be guilty of such rare transgressions but they are rogue and unrepresentative. 2. Cyclists always ride on the pavement. Cyclists should get off roads designed for motorists and ride on the pavement instead. 3. Cyclists that ride in cities at 20mph are clearly riding too fast for the conditions and will almost certainly kill pedestrians. It’s crazy talk to expect motorists to travel as cripplingly slow as 20mph. 4. Cyclists ride two abreast, blocking the road. Don’t mention the fact that motorists, even when driving solo, ride two abreast all of the time. 5. Cyclists no longer tinkle little bells to warn pedestrians. Cyclists expect pedestrians to jump out of the way when they rudely ring their stupid bells. 6. Cyclists are paupers that cannot afford cars. Cyclists are wealthy elites that own expensive carbon bikes which get in the way of poor people in cars just trying to earn a crust. 7. Not enough cyclists wear helmets. Cyclists wear mushrooms on their heads, haha! 8. Cyclists don’t ride with lights. Cyclists dazzle motorists with their flashing lights. 9. Cyclists who ride with earbuds deserve it when they get run over and killed. Motorists should be able to listen to loud music in their cars if they want to. It is not as though it is a distraction. 10. Cyclists are smug treehuggers. Cyclists emit CO2, endangering the planet. 11. Cyclists cause pollution because of all the motorists stuck behind them forced to drive slowly. Ergo, no cyclists, no pollution. 12. Cycling is something you grow out of, it’s only for children not adults. Children should stick to parks and should not be allowed to cycle on roads. 13. Too few cyclists are killed. Jeez, cyclists can’t take a joke. A motorist driving to the gym (to ride on a stationary bike) is a legitimate road user. 15. Spending half a million on a cycleway is a subsidy too far, an incredible waste of taxpayers’ hard-earned cash. Spending billions on new roads for more motoring is an investment. 16. Society should pay for roads for motorists. Cyclists should pay for cycleways. 17. Cyclists use the roads as a gym; they should ride on a velodrome instead. Motorists have places to get to, you know. 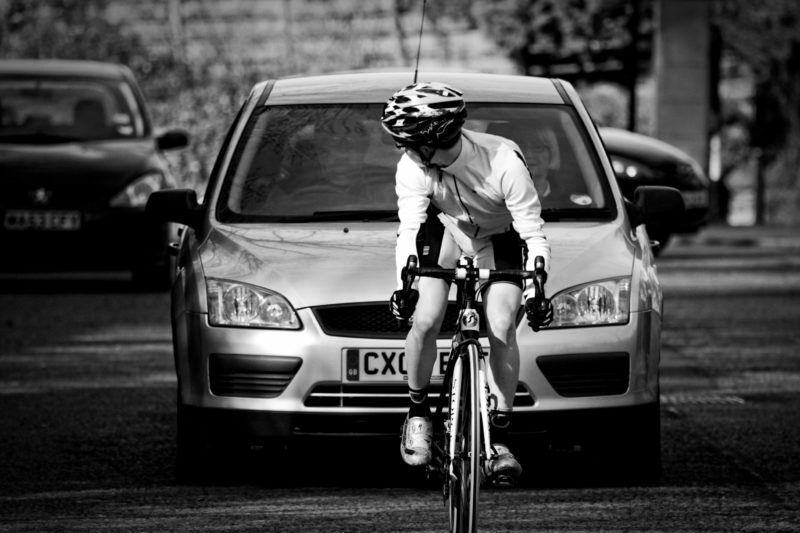 Motorists should not give cyclists lots of space when overtaking them because that would waste, what, two seconds? 19. Cyclists should wear yellow hi-viz jackets at all times for their own safety. Motorists can choose whatever colour car they like: stealth grey is currently the most popular. Car? What car? 20. Cycleways are an incredible waste of space. Motorists should be provided with masses of free parking. 21. Roads are dangerous so taking children to school by bicycle is criminally irresponsible. It’s perfectly acceptable for motorists to rush their children to school in oversized SUVs and then to park right next to school gates. Kids not in cars are fair game. 22. Dockless bikes and scooters clutter the streets. Cars parked everywhere is totes okay. 23. Cyclists don’t have to cycle, it’s a hairshirty, eco-loopy personal choice. 24. Cycleways take up too much road space. Roads should be widened for motorists, and especially today’s wider cars. 25. Cycle parking corrals are a waste of valuable space and, if they are to exist at all, should be hidden away. A parking spot right outside the cafe/my house/local shop is a God-given right. 26. Cyclists exhibit devious entitlement by demanding safety on the roads. Motorists never exhibit any form of entitlement ever. 27. Cycling on the sidewalk is a heinous crime. It’s necessary for motorists to half-wheel sidewalks, where else is there to park? 28. Cyclists should always use the cycleways provided for them at great expense, no matter how badly surfaced or stupidly routed the cycleway might be. Motorists should have access to every road everywhere, and these roads should be butter smooth. 29. Cyclists should be happy with cycleways that don’t go direct to destinations because they are riding for recreation not transport. 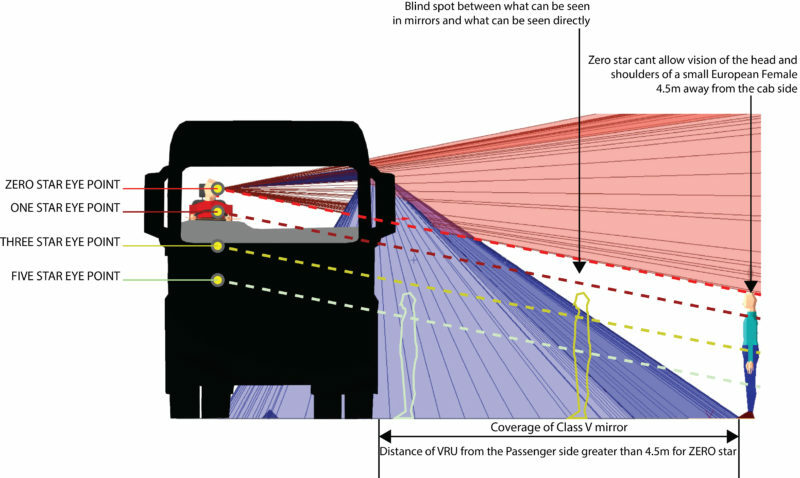 Motorists should be provided with the most direct routes possible because motoring is transport. 30. Cyclists dress funny, they are all Lycra Louts. Motorists are normal members of society and don’t wear silly clothes. 31. Plans for a short stretch of cycleway should be put out to public consultation and should be blocked if it requires the loss of any car parking spaces whatsoever. Hugely expensive road projects will cure congestion so should always be nodded through. 33. Remember, it’s “the cyclist collided with” not “the cyclist was hit by” a car. 35. Cyclists dangerously weave in and out of traffic. It’s okay for motorists to switch lanes if there’s a gap in traffic. 36. Cyclists should not ride up the inside of trucks, putting themselves in danger. It’s okay for truck drivers to overtake cyclists, putting these cyclists on the inside. 37. 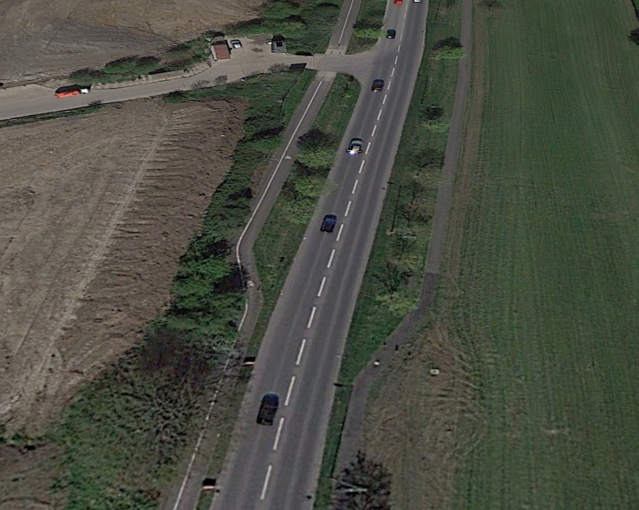 Cycleways can start and end in the middle of nowhere. Roads for motorists should be hyper-connected. 38. Cyclists who ride fast are scofflaws. Motorists may break the speed limit from time to time, but these are arbitrary war-on-the-motorist rules and, anyway, we are just trying to get somewhere in a reasonable length of time, the police should be out there catching real criminals. 39. Cyclists who kill pedestrians deserve jail-time. Motorists who kill pedestrians didn’t mean to so shouldn’t even be charged, never mind jailed. 40. Any bicyclist in front of a motorist is “in the way” and has to be overtaken swiftly and aggressively. Any car in front of a motorist is just how it is and it’s fine to wait patiently behind because it’s not like you’re going to get anywhere any faster. 41. Electric cars should be subsidised. Electric bikes are a luxury, middle class items and should never be subsidised. 42. A motorist’s time is more important than a cyclist’s life. 43. Roads were not built for bicyclists. 44. Cyclists are very angry people, always shaking their fists. Why do cyclists get so defensive about being nudged from behind by my bumper, cut up on corners or nearly being sideswiped when I shot out of that junction without looking for anything other than other motor vehicles? It’s a total mystery. 45. Cycling is weird. Driving is normal. * Naturally, Hate Media Inc. doesn’t exist, it’s a fictional representation of those mainstream media outlets that allow columnists and shock jocks to write or say things about cyclists that would never be said about other groups in society. This post was inspired by an earlier “Bingo card” and a Twitter thread. The “death by dangerous cycling” law generated a great deal of heat and light in the mainstream media, with journalists assuming the law will be brought in soon. However, might it suffer the same fate as a similar proposal made in 1938? Just as today’s transport minister Jesse Norman appointed “independent” legal experts to review the case for a “death by dangerous cycling” law, the 1930s Ministry of Transport tasked outside experts to evaluate similar ideas. These ideas also generated heat and light at the time, but were not enacted, mainly because preparations for the Second World War took precedence. While Norman has put the “Briggs Law” out for public consultation it may not ever reach the statute books, mostly because of oxygen-stealing Brexit. The law may also be stalled in order to wait for a general road safety review, first promised in 2014. What follows is speculation, but examining previous efforts can be illuminating. Let’s take a look at the 1930s cycling-specific road safety review. It was started in 1936, just two years after the building of the first Dutch-style protected cycleway, then known as a “cycle track”. The Ministry of Transport published the review’s report two years later. 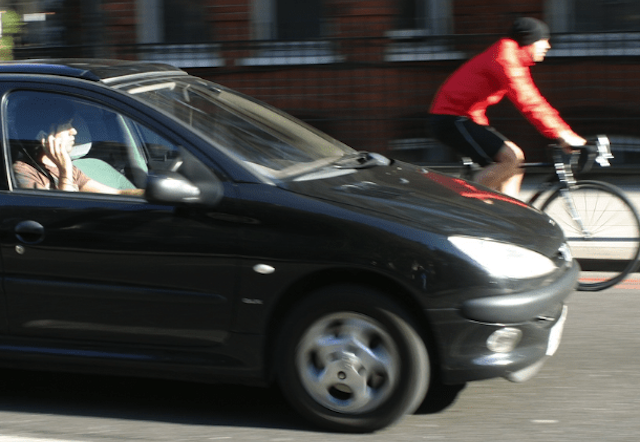 The Report on Accidents to Cyclists has eery parallels to the current cycle safety review – for a start, it suggested the creation of a “careless cycling” law. It also called for the fitting of at least one brake on fixed-wheel cycles. The Transport Advisory Council was an expert body, founded in 1934, and charged with exploring how to reduce road deaths. The “accidents to cyclists” sub-committee was made up of thirteen members, including five Sirs, three Justices of the Peace, but only one cyclist. This cyclist – Frank Urry of the Cyclists’ Touring Club – lodged a dissenting voice over the provision of cycle tracks. Nevertheless, the report was accepted by the then Minister of Transport, Leslie Burgin. “The Transport Advisory Council … have now reported and made a number of recommendations,” Burgin told parliament in June 1938. 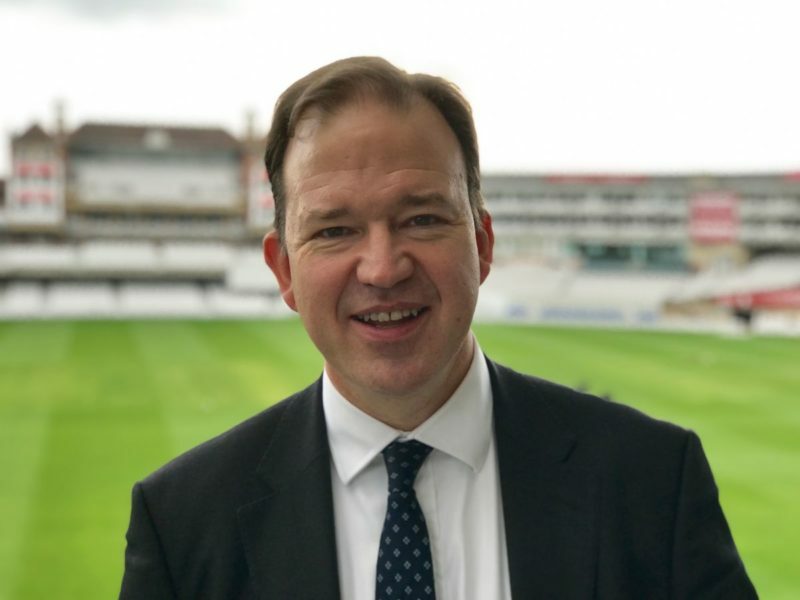 Despite the huge effort in compiling the report by the Transport Advisory Council its main recommendations were put on hold until the publication of a report on general road safety carried out by a House of Lords committee led by Lord Alness. The March 1939 Report of the Select Committee of the House of Lords on the Prevention of Road Accidents, generally known as the Alness Report, was heavily biased towards motorists. “There is much thoughtless conduct amongst cyclists which is responsible for many accidents,” sniffed the report, making 231 recommendations, including that children of ten and under should be banned from public cycling (“children under seven cause 23.9 per cent of the accidents to pedestrians,” claimed the report) and that segregation on the roads should be carried out with utmost urgency. Cyclists, said the report, should get high-quality wide cycle tracks and that, once built, cyclists should be forced to use them. Pedestrians were also to be corralled and fined for daring to cross the road at points other than designated crossing points. Motorists, decided the pro-motoring Lords, should be treated with a light touch by the law and should be provided with motorways and many more trunk roads. “Courtesy cops”, they suggested, would make sure motorists acted like gentlemen rather than cads. Then war intervened. The Alness Report – derided by one Labour MP as a “tale of deaths and manglings … and extraordinary conclusions” – was moth-balled. After the war a House of Commons select committee dusted it down and many of the report’s recommendations were taken forward, especially the pro-motoring bits, but, for a while at least, there would be no new “motoring roads” and certainly no provision for cyclists. Post-war austerity killed off putative plans for a national network of cycle tracks. When, and if, the current government finally releases its road safety review – remember, it was first promised in 2014 – it’s entirely possible that it will contain little to promote cycling, and will almost certainly not truly constrain dangerous motoring. Plus ça change. If I am wrong, and the “death by dangerous cycling” law is enacted, and sooner than I have predicted here, that would say a lot about the government’s true priorities when it comes to road safety. Between 1934 and 1940 Britain’s Ministry of Transport paid local authorities to install cycle tracks. As seen and heard on the BBC, ninety or so schemes were built, resulting in perhaps as many as 500 miles of cycle tracks, some of them protected with curbs. The great majority were built – 9-ft wide and both sides of the roads – next to the new bypasses of the era; a few were built on “trunk roads” through residential areas, such as in Sunderland, Manchester, Nottingham and Oxford. A successful Kickstarter campaign in May 2017 has enabled us to start researching some of these cycleways (later we’ll be aiming to rescue many of them). And even though the Kickstarter campaign has now ended it’s now possible to get the same emails and reports as backers. This extension to the campaign was created after people got in touch after the campaign ended asking how to get involved. If you’d like to be involved please fill in the form below (it’s a form hosted on Wufoo, a secure database service). Once you press “submit” you will be taken, via Wufoo, to a secure, Stripe-powered payment page where you can choose which pledge level you’d like. Information on the pledge levels can be seen below. Every penny of support will help us research the history of Britain’s long-lost cycleways and advocate for at least some of them to be revived. No products provided at this level, except basic email updates (no reports), but you’ll be buying us a coffee, and you’ll get a name-check in the final report. Every penny of support will help us research the history of Britain’s long-lost cycleways and advocate for at least some of them to be revived. No products provided at this level, except basic email updates (i.e. none of the exclusive reports other backers get), but your pizza level contribution will sustain us in our work, and you’ll get a name-check in the final report. At the Report level you’ll get a name-check in the final report, and you’ll get that report, too. It will be sent as a PDF. You will also get digital updates of the work in progress – these updates will include photos, maps and other materials that will go only to backers of the Report level and above. At the Deluxe Report Level you’ll get a name-check in the final report, and you’ll get that report, too. It will be sent as a PDF. You will also get digital updates of the work in progress – these updates will include photos, maps and other materials that will go only to backers of the Report level and above. In addition, you will receive links to videos available only to backers of this level and above. You will also be able to choose the formats of the reports, including Kindle, ePub, and multi-media iPad bundles. You will also get an invite to a London launch event. At the Belisha Level you’ll get a name-check in the final report, and you’ll get that report, too. It will be sent as a PDF. You will also get digital updates of the work in progress – these updates will include photos, maps and other materials that will go only to backers of the Report level and above. In addition, you will receive links to videos available only to backers of this level and above. You will also be able to choose the formats of the reports, including Kindle, ePub, and multi-media iPad bundles. You will also get a personal invite to a 1930s cycleway ride with the project creators as well as a London launch event. At the Go Dutch Level you’ll get a name-check in the final report, and you’ll get that report, too. It will be sent as a PDF. You will also get digital updates of the work in progress – these updates will include photos, maps and other materials that will go only to backers of the Report level and above. In addition, you will receive links to videos available only to backers of this level and above. You will also be able to choose the formats of the reports, including Kindle, ePub, and multi-media iPad bundles. And you’ll also get to choose between a limited-edition project t-shirt or project mousemat AND you’ll get a high-resolution print of a plan or period photograph of any one stretch of cycleway. This can be signed by the project team and dedicated to you with a message of thanks. You will also get a personal invite to a 1930s cycleway ride with the project creators as well as a London launch event. Note: all levels above Pizza Level also gain access to the premium level of a new podcast, CyclingHistory.Today. The site has been registered and a website will be connected to that URL soon. 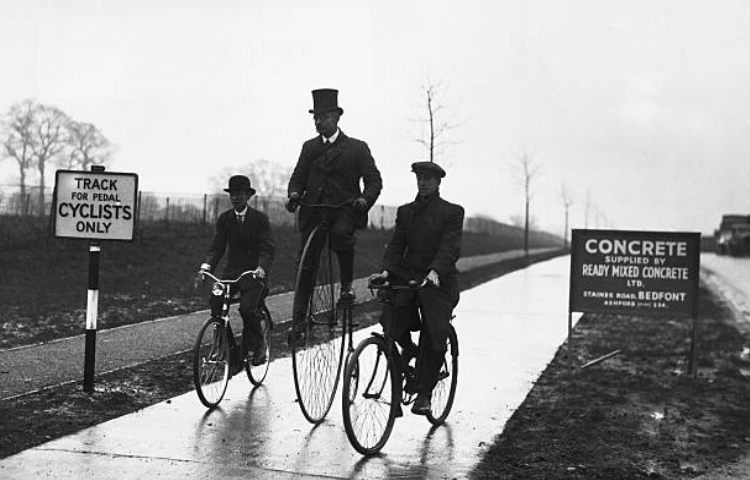 The podcast will feature cycling history from 1817 onwards. Many cycle advocates urge that the Department for Transport should create dense grids of protected cycling infrastructure – in other words, Britain should “Go Dutch”. It’s almost totally unknown that Britain once had the beginnings of such a Netherlands-inspired network, and with your help we could rediscover it and, in some cases, literally dig it up. This project could result in the (re)creation of many miles of protected cycleways – and as a backer you’ll be along for the ride. In the 1930s, Britain’s Ministry of Transport commissioned the building of 500-miles of protected cycleways. 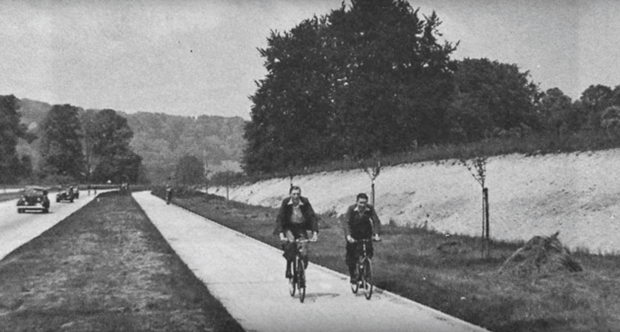 Between 1934 and 1940 more than 300 miles of these innovative cycleways were actually built, usually both sides of the new “arterial roads” springing up all over the country. Some of these cycleways still exist, but they are not today understood to be cycle infrastructure: they should be rededicated. Others are buried under a couple of inches of soil: they could be excavated. We are seeking your support to make all of this happen. Cash is needed to carry out further research and then work out how the historic cycleways can be meshed into modern networks. With your help we’ll be able to demonstrate that the space for cycling is there, and in many cases it has been there for a long time! Those who back this project will be supporting something of potentially national importance, and will gain behind-the-scenes access to our work as it progresses. You will receive timely backer-only reports that won’t be published anywhere else. Whether you’re interested in the historical side of the project, or the modern, practical side backers will receive regular updates and will be the first to be told of what could be important and, in some cases, genuinely ground-breaking developments. Take a look at the backer options above. You could buy us a cup of coffee to keep our spirits up or go the whole hog and get us to give you an up close and personal presentation to your club, company or organisation. We’ll also be taking some backers on a guided cycle tour of one or more of these innovative-for-the-time cycleways. We are author and editor Carlton Reid (the project’s historian) and Urban Movement’s John Dales (the project’s urban planner, and with a team behind him). That Britain once had a great number of protected cycleways is now almost totally unknown. I started researching these Dutch-inspired cycleways for my forthcoming book Bike Boom (Island Press, June 2017) and when I started to dig deeper (sometimes literally) I came to realise there were far more of these 1930s cycleways than I, or anybody else, knew existed. By poring through ministerial minutes I discovered that, amazingly, the Ministry of Transport was working to plans submitted by its Dutch equivalent: Go Dutch, 1930s-style. To date, I have identified more than 90 separate protected cycleway schemes around Britain, some of which can be found on the map below. I believe there are more cycleways to be found. These innovative, concrete cycleways – many with granite kerbing – went out of use so rapidly that they were forgotten about soon after being built. A few were later grubbed up to make extra room for cars, but plenty can still be seen today – if you know what to look for. By using long-neglected plans and maps I’ve been able to trace many of the buried ones; some appear to be tantalisingly close to the surface. It’s important to map, record and then rescue these cycleways. Many have lasted this long only out of sheer luck, and need to be “listed” so that they can’t be destroyed in the future to, say, widen roads for motor traffic. This is partly a historical – and even an archeological – project but, as John Dales says in the video above, it’s also highly relevant today because the space for cycling that many planners and politicians say isn’t there is there! We are combining to form a small team that will research and evaluate the schemes found to date, and then approach local and national authorities with plans for meshing the 1930s cycleways with their modern equivalents. The success of the Kickstarter campaign enabled us to start work on researching and evaluating some of the schemes identified so far. The more money we raise the more cycleways we will be able to research. We shall use this research – and the modern urban planning work – to push for grants and other monies to enable rescue work to take place. In 1934, the Ministry of Transport consulted with its Dutch equivalent before starting work on its cycleway programme. 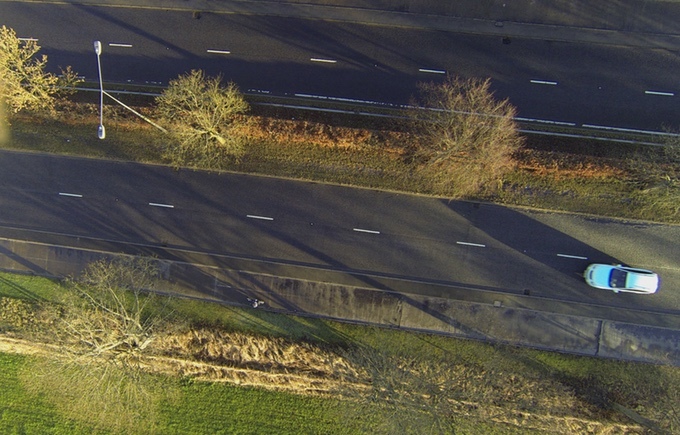 The MoT’s chief engineer was provided with cycleway plans and advice by the director of the Rijkswaterstaat. 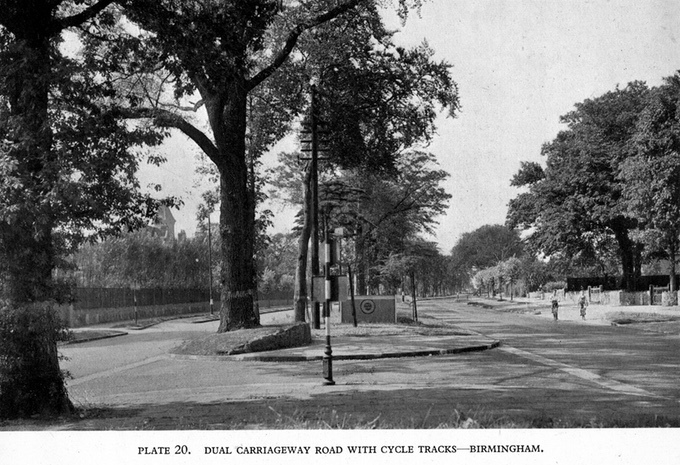 Most of the 1930s cycleways were built alongside new arterial roads and bypasses. However, some were built in residential areas, such as the separated cycleway in Manchester seen at the top of this page. This cycleway still exists but, today, not all of it is marked or used as a cycleway – motorists park their cars on it, assuming it’s a private road built for such use. The challenge is to find and research the history of this cycleway, and the 80 or so others, then link them into today’s networks. 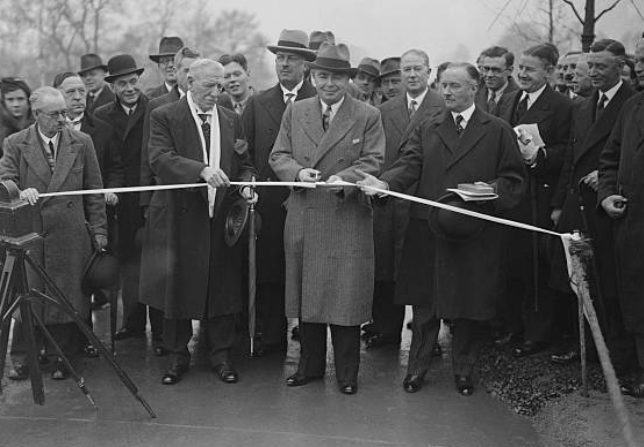 It’s reasonably well known – in certain cycle advocacy circles at least – that there was a 2-mile protected cycleway on Western Avenue in London, opened by transport minister Leslie Hore-Belisha in 1934 (I wrote about it in Roads Were Not Built for Cars). What’s very much not known is that this was just the first scheme, and that the Ministry of Transport majority paid-for at least 70 other schemes across the country, many of them kerb-protected and separated from carriageways. After 1949, cycle use in the UK dropped dramatically and less use was made of the innovative-for-the-time cycleways. In time, it was forgotten that there had once been these many cycle infrastructure schemes around the UK. This project aims to bring many of them back to life both by rededication and by demonstrating how they can be linked in to wider networks. A great deal of further archival research is required, especially in city, county and national archives. Period newspaper reports describe when the cycleways were given the go-ahead and when they were opened, but it will require more digging to find grant-aid documents, further maps and plans, and period photographs of the cycle tracks in use. 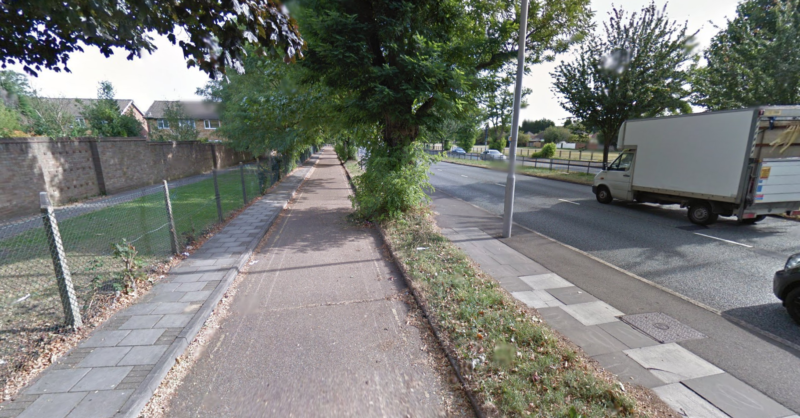 Most of the 1930s cycleways (at the time they were called “cycle tracks”) were, on average, four miles long, but the 9-ft and 6-ft cycle tracks on both sides of the Southend Arterial Road (which are not marked on modern maps) extended for more than 18 miles. If we could bring back to life even half of the built cycleways that’s perhaps 140+ miles of cycleway that we don’t currently know about, or treasure. This is an ambitious and potentially very practical project, but it cannot happen without your help. JOHN DALES is a transport planner and traffic engineer, and director of Urban Movement of London (“our job is making better streets”). He is the ex-chair of the Transport Planning Society, and a columnist for TransportXtra. CHRIS BOARDMAN: “This is a marvelous proposal. It could recover some of our lost past and give normal people the opportunity to change the way they travel, in safety. THE RANTY HIGHWAYMAN: “This exciting delve into history seeks to rediscover the space which was found for cycling eighty years ago, and it just goes to prove that most innovations in highway engineering have already been built. MARK TREASURE, CHAIR OF CYCLING EMBASSY OF GREAT BRITAIN: “It’s fantastic (and also more than a little depressing) that, eighty years ago, this country was capable of building cycling infrastructure alongside main roads of precisely the kind we need today – cycling infrastructure that has now fallen into disrepair. Why did the Dutch get cycleways but the Brits and Americans didn’t? And why didn’t British cyclists use the 1930s cycle tracks? 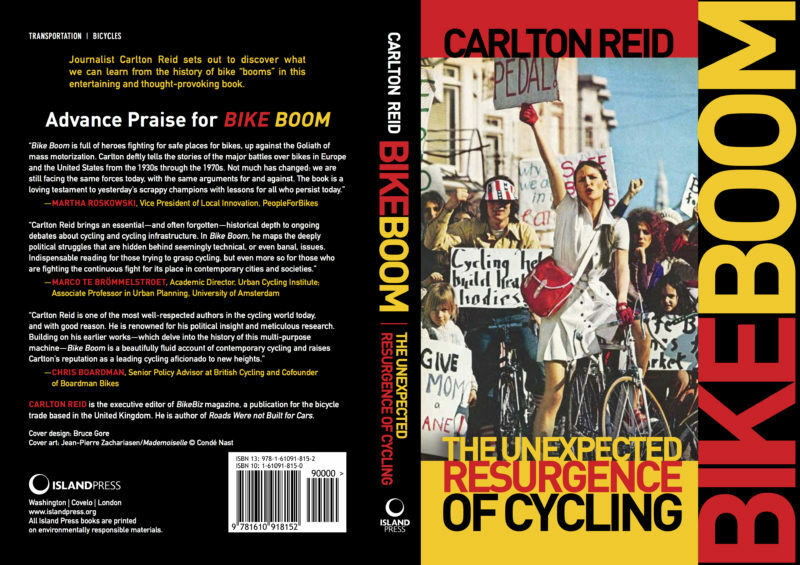 I discuss the reasons at length in Bike Boom (Island Press, June 2017). Order on Amazon. The National Health Service was founded 70 years ago on 5th July 1948. Its lead architect was Labour Health Secretary Aneurin Bevan. When in opposition, the long-time MP for Ebbw Vale was a thorn in the government’s side, regularly standing up for issues of social justice. Take, for instance, a speech he gave in the House of Commons on 28th April 1936. He accused the then Chancellor of the Exchequer of being an “assassin of hundreds of little children” because he wouldn’t spend money on making Britain’s roads safer, including the provision of more of the 1930s cycleways that this project discusses. He also extended the barb to the Minister of Transport, Leslie Hore-Belisha. Back in 1936, Bevan enraged many of his fellow MPs by calling Chamberlain an assassin, but he remained adamant that road safety came before political niceties. 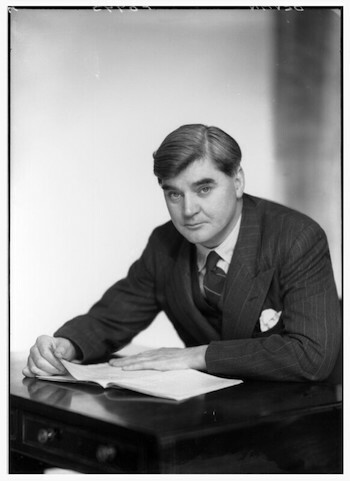 “Last year there were 228,000 people killed or injured on the highways of this country,” said Bevan on 28th April 1936, “and I believe every hon. Member will agree that that appalling casualty list could have been appreciably reduced had there been better roads. 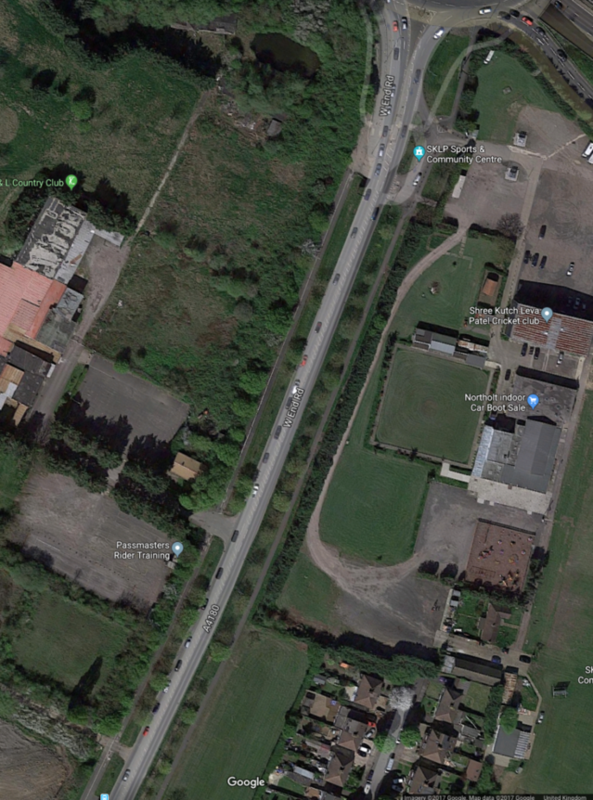 I think there can be no doubt that had there been cycling tracks, proper pathways for children, improved corners, non-skid surfaces, and so on, there would have been a very substantial reduction in the number of casualties. “For two years now [the Chancellor of the Exchequer] has raided the Road Fund and made himself the assassin of hundreds of little children. “[The] roads of the country need to have a great deal of money spent on them in order to make them safer. Therefore, is it not admitted that had the money been spent the roads would have been safer, and that if they had been safer the children would have been alive? How can you refute the submission that the Chancellor is a cynical assassin? 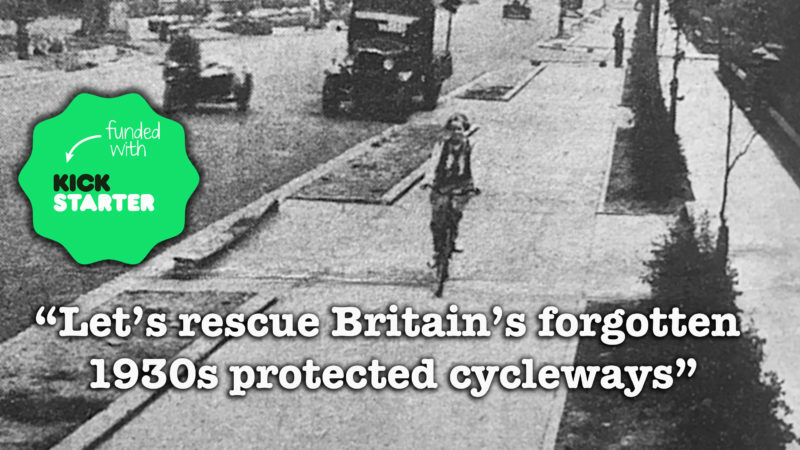 Between 1934 and 1940 Britain’s Ministry of Transport paid local authorities to install cycle tracks. As seen and heard on the BBC, ninety or so schemes were built, resulting in perhaps as many as 500 miles of cycle tracks, many of them protected with curbs. 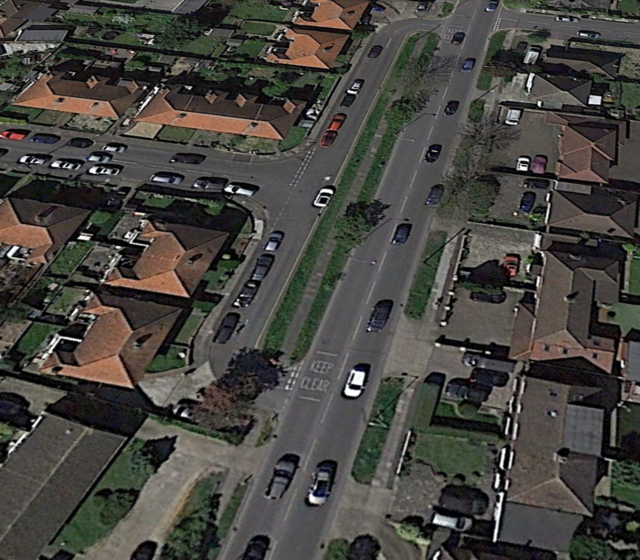 The great majority were built – 9-ft wide and both sides of the roads – next to the new bypasses of the era; a few were built on “trunk roads” through residential areas. If you’d like updates like the one above on the NHS please fill in the form below (it’s a form hosted on Wufoo, a secure database service). Once you press “submit” you will be taken, via Wufoo, to a secure, Stripe-powered payment page where you can choose which pledge level you’d like. Information on the pledge levels can be seen below. There were a great many protected cycle tracks built in the 1930s – but I am not yet sure of how many. 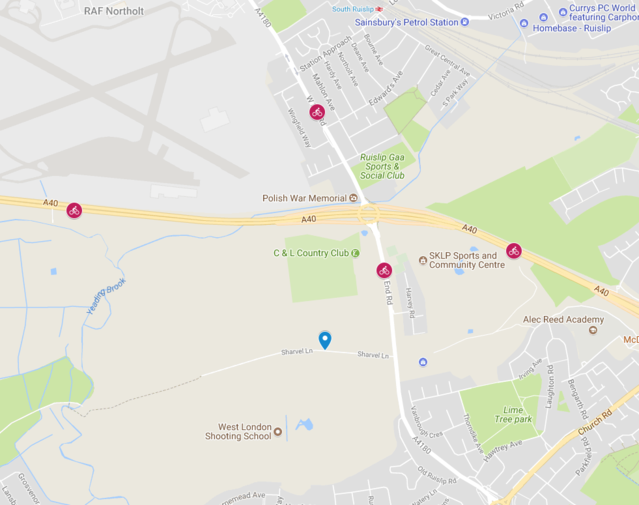 I keep finding new candidates to add to my map of 104 definites and probables, including a doozy of a cycle track that I discovered the other day, and which I’ll describe below. It’s entirely possible that I know more about the number and the extent of the 1930s-era cycle tracks than anybody alive at the time of their building. Local authorities appear to have constructed more tracks than are noted in the official record, and national government estimates of the length of built cycle tracks (including stats given as parliamentary answers by transport ministers of the day) came up short. Even those who were bitterly opposed to the tracks – such many of the leading officials of the Cyclists’ Touring Club – didn’t seem to know the full extent of the cycle tracks that they despised. They complained about a few of the high-profile cycle tracks – such as the first one in Ealing and a later one on the outskirts of York – but there’s nothing in the club journal to show that they knew hundreds of miles of such tracks had been built by 1945. No one seemed to be keeping national tabs on what was being built, and that includes the Ministry of Transport. Each time I think I’ve got a definitive total, another candidate comes along. 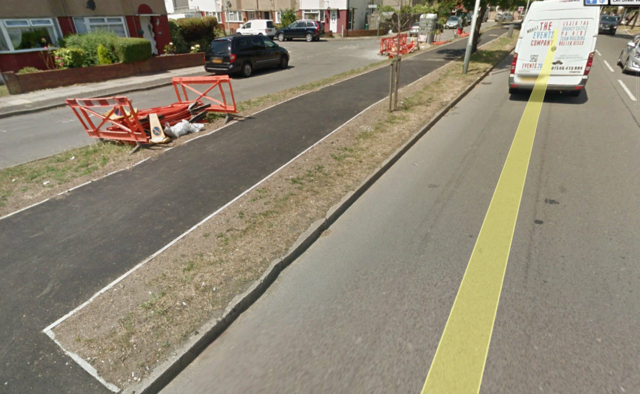 Take this, a separated double-track cycleway beside West End Road in Northolt, West London. The cycle track on West End Road north of Western Avenue looks period from above, but not so much down at street level (see below) because of modern refurbishments. 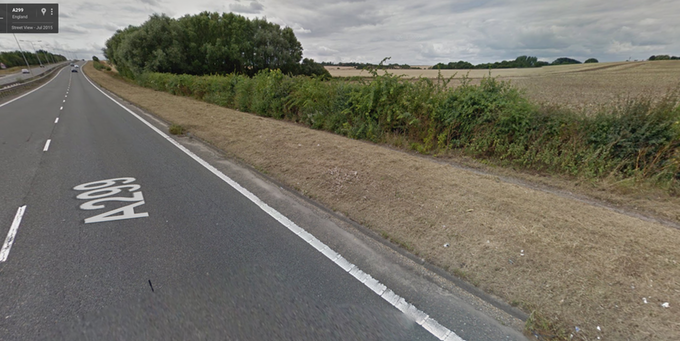 The A1480 becomes Ruislip Road at its southern end. It’s joined to the Western Avenue, or A40, at its northern end. The cycle track also exists further north – beyond Western Avenue – but, even though it looks period, I have yet to confirm whether that was 1930s in origin. What I do know is that the West End Road cycle track was planned in 1934, and definitely existed by 1945. 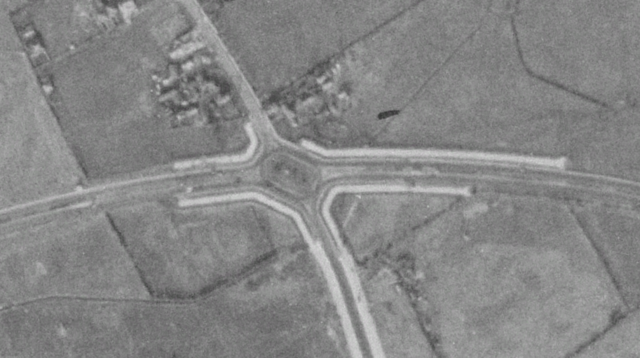 I have found period plans for the 1934 date, and the cycle track shines bright white on aerial photography from 1945. As I recount in the book-of-this-blog the Minister of Transport and his chief engineer gave the go-ahead for the building of Britain’s first cycle track in February 1934. 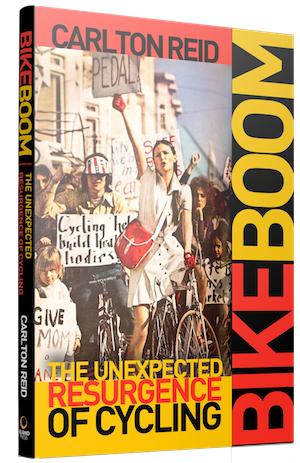 When I wrote Bike Boom I had assumed just one two-mile stretch was planned and then built – from Hangar Lane to Greenford Road in Ealing, along the new Western Avenue arterial. However, by digging around in archives I discovered that plans were drawn up to line almost ten miles of Western Avenue with cycle tracks on each side. 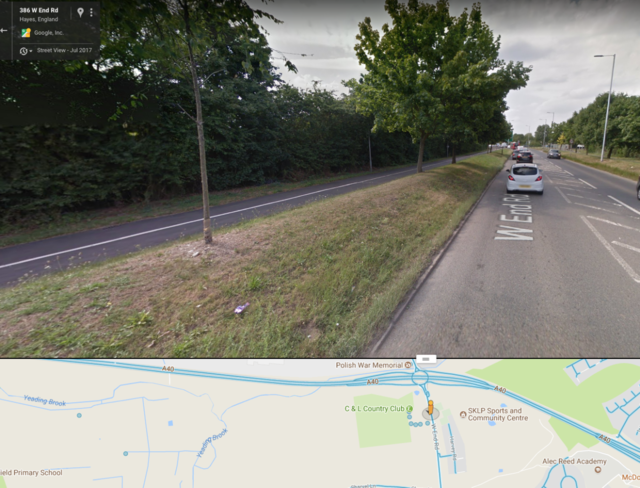 (Most of these cycle tracks are long gone, grubbed up and built over in the 1970s when the A40 was widened into what is, in effect, an urban motorway.) And these plans – drawn up by the county engineer – were passed by county council planning boards in April 1934, just two months after they were requested by the Transport Secretary. The first experimental stretch (which was built rapidly and shoddily) was in use by May 1934. Transport Secretary Leslie Hore-Belisha officially opened it in December of that year. I need to do more archival research to pin down exactly when the cycle track on West End Road was built, but it had to be between May 1934 and 1945. 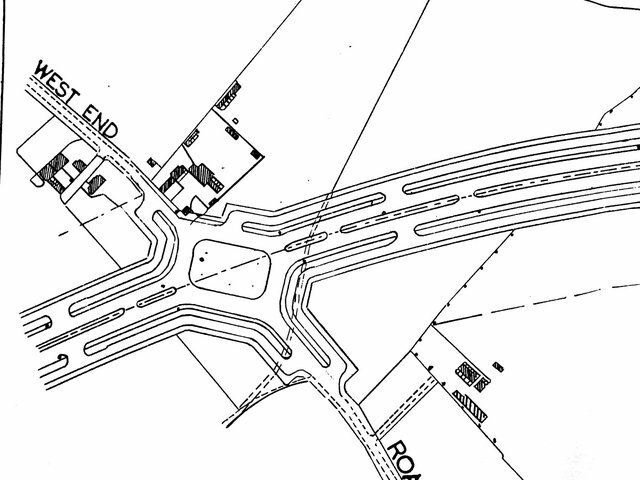 I know from period newspapers that extensions to Western Avenue were finished in 1935 and 1936 so my working assumption is that the semi-protected roundabout at the junction between Western Avenue and West End Road was built in one of these two years. The 1934 engineering plan for this junction doesn’t show the full length of the West End Road cycle track, but one side of it is still being used as a cycleway (because of asphalt and markings it looks modern) and, at the northern end, the track is made from scuffed-up concrete which, from my knowledge of confirmed 1930s cycle tracks, means this is probably the original surface. 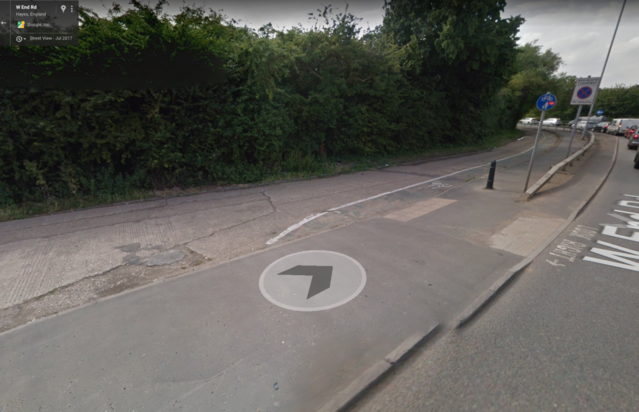 What’s very interesting about this particular 1930s-era cycle track – it’s about a mile long – is that both sides are extant, but only one side is marked as a cycleway. Refurbished and properly signed this double-sided cycle track could be brought back to life, and it’s probably one of those that I’ll flag to my partner in this project, urban designer John Dales. 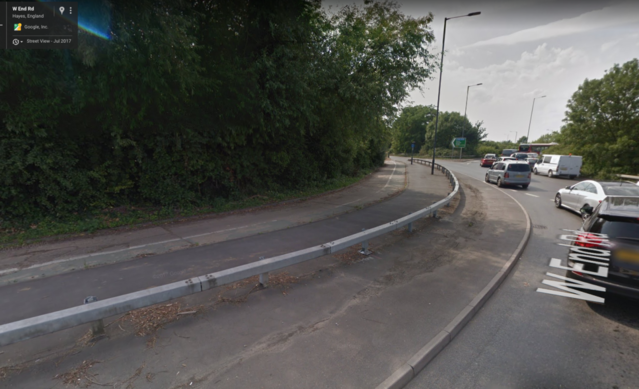 The weakest part of the chain is the roundabout over the A40, but if this was a semi-protected roundabout as far back as 1935 (when Western Avenue was narrower and at ground level) there’s hopefully no reason, apart from expense, why cyclists couldn’t once again benefit from some protection here. There’s much more of this sort of research to be done in the months ahead. And if you didn’t back the project when it was live on Kickstarter it’s still possible to be part of the journey by subscribing to one of the project’s update levels.